Environment in the midwater ie the ocean below the depth of sunlight is dramatically different from any other – dark, cold, weightless, timeless and virtually infinite in any direction. Animals living there have evolved under conditions unlike anything we see on land. 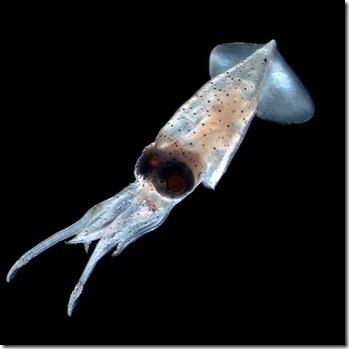 These often bizarre-looking fishes, crustaceans, squid and jellyfish are important food web links between the many organisms living in the productive shallow layer and the scarcer animals that live far below the midwater realm. 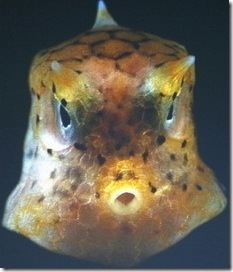 But midwater animals remain among the least well known creatures on Earth. Dr Larry Madin, Senior Scientist and acting Director of Research, Woods Hole Oceanographic Institution, took over as the Project Leader. Goal of this project is to learn more about this center of shallow water biodiversity by studying the fauna in the midwater realm and making extensive vertical surveys of the water column. The project explored one of the most intriguing parts of the deep sea – the deep basin of the Celebes Sea south of the island of Mindanao in the Philippines. The Southeast Asian nations of Philippines, Malaysia and Indonesia occupy one of the richest biological environments on Earth. Sometimes called the “coral triangle” this region of islands and ocean basins is considered a ‘hotspot’ of biodiversity both on land and in shallow marine environments. The Celebes Sea, lying just north of the equator, is the center of the most biologically diverse area of the world’s ocean. 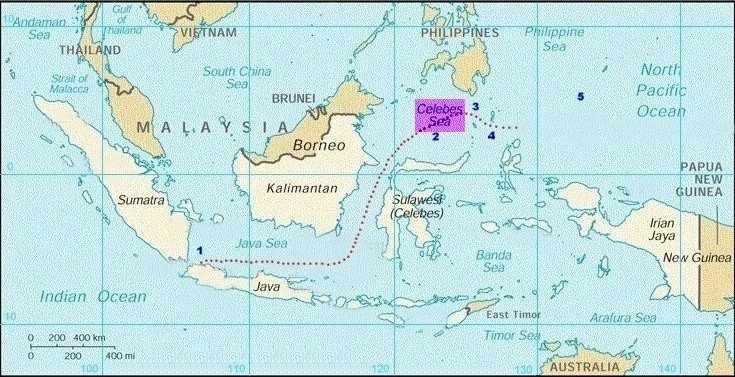 The Celebes Sea is bordered by shallow ocean regions, which greatly limits the exchange of deep water animals with other deep water areas in the sea. During past times of lower sea level, the deep basins were completely isolated by dry land, and they may have developed highly endemic faunas (animals that are exclusively found there). The project used a combination of tools and equipment to penetrate and sample the depths. 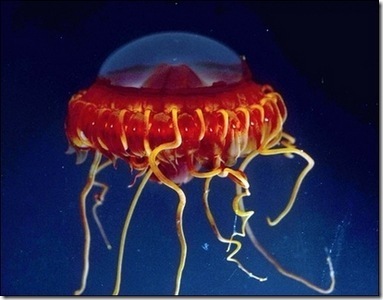 A Remotely Operated Vehicle (ROV) was used to take photographs and video, and collect specimens down to 3,000 meters. or photographed with baited cameras. Fragile animals in surface waters were filmed and collected by SCUBA divers, with additional samples of zooplankton taken with plankton nets. 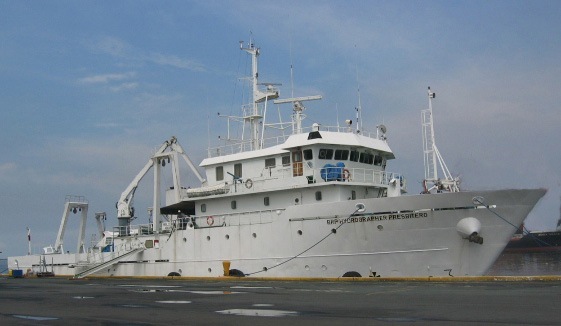 The expedition commenced on 01 October 2007 from Port of Manila. 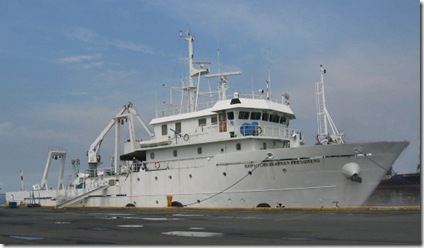 The ship chartered for the expedition was from the National Mapping and Resource Information Agency (NAMRIA). (BRP is the acronym for “Barko ng Republika ng Pilipinas” which identifies it as a ship of the Republic of the Philippines.) Built in 1998, the 53-meter long ship conducts submarine topographic and geophysical surveys and supports marine scientific research. She was the home for 19 US scientists, ROV pilots, technicians, and photographers, one representative of the US Embassy in Manila, seven Filipino scientists, 25 ship’s crew members, three catering staff, one medical officer from the Philippine Coast Guard, and four security personnel on loan from the Philippine Navy, in case of encounter with pirates or terrorists in the southern Philippines. 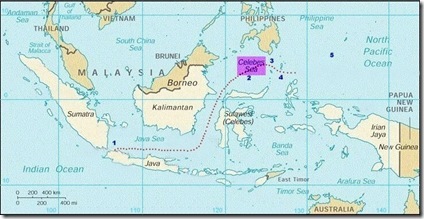 The deepest part of the Celebes Sea is 16,500 feet. The team was able to explore to a depth of about 9,100 feet using a remotely operated camera. 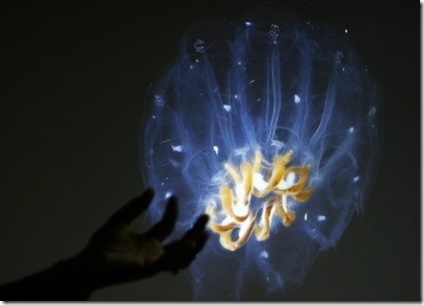 Dr. Larry Madin of the Woods Hole Oceanographic Institution shows a slide of a jelly fish photographed by a diver. Researchers said a swimming sea cucumber, a Nemo-like orange fish and a worm with tentacles sprouting from its head are among dozens of possible new species found during the survey of the Celebes Sea. The exploration completed on 16 October 2007. 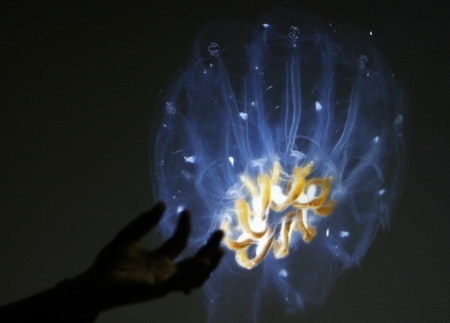 News and Image Source: Oceanexplorer , Chinadaily. Oldsailor congratulates the dedicated team for their good work. The survival of species critical to the livelihoods of millions – such as those in the “nusery grounds” of the Coral Triangle – is being called into question in the wake of the IUCN’s warning this week of a mass global extinction unseen for 65 million years. Read more from WWF-Marine. Previous post: Kormarine 2007, the leading Marine Exhibition of Asia Pacific region.